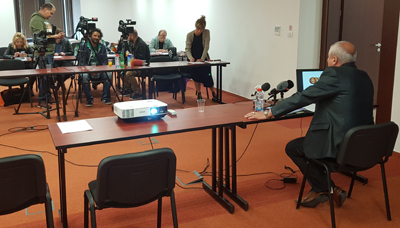 In support of greater transparency, as one of our five strategic objectives, the State Audit Office organized press briefing conducted by Mijalce Durgutov, auditor responsible for informing the public. The journalists were presented 2017 audit activities through figures, percentage of different audit opinions, measures taken upon audit recommendations, conducted audits of political parties, implementation of public procurements and implementation of the Law on Free Access to Public Information. Mr. Durgutov answered all open questions and dilemmas, most of which were related to the conducted audits on political parties in the election campaign. Other topics of interest were public procurement i.e. its (non) implementation, procedure for selecting audits and types of audit opinions. 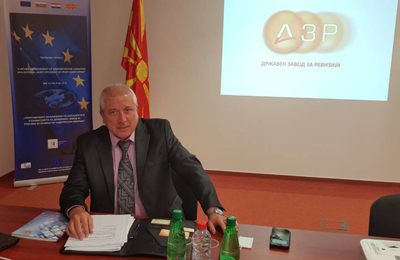 Mr. Durgutov informed the media representatives that this year for the first time SAO Annual Report is published in three languages: Macedonian, English and Albanian. The Report is expected to be discussed first by the Financing and Budget Committee and then at a plenary session. After each of these debates/hearings, SAO will organize press briefing with Deputy Auditor General Naser Ademi. SAO Annual Report for 2017 is also published on our website.